Gold is usually a familiar yellow color, but it is too soft to stand up to the rigors of everyday wear. Because of this, it needs to be alloyed with another metal to make it stronger. In the case of white gold, the alloys are usually platinum, nickel, manganese and palladium with zinc, silver or copper sometimes added. Besides this, the metal is plated with rhodium, which gives it its bright white color. One caveat about white gold alloyed with nickel is that some people are allergic to nickel. 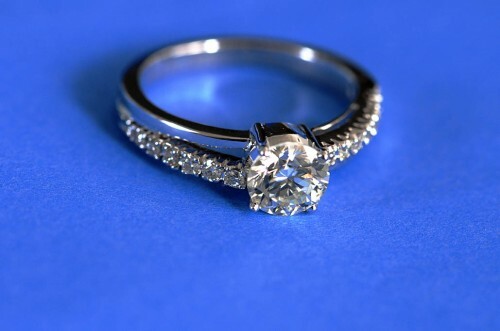 The buyer should ask the jeweler what kind of alloy has gone into the white gold engagement ring before buying it. Sapphires are made out of corundum, which is the second hardest natural substance beside diamond. The most sought after sapphires are deep, velvety blue, but not all sapphires are blue. Indeed, sapphires can be every color but red. Rather than standing for great passion, deep blue sapphires stand for loyalty and trust as well as love. 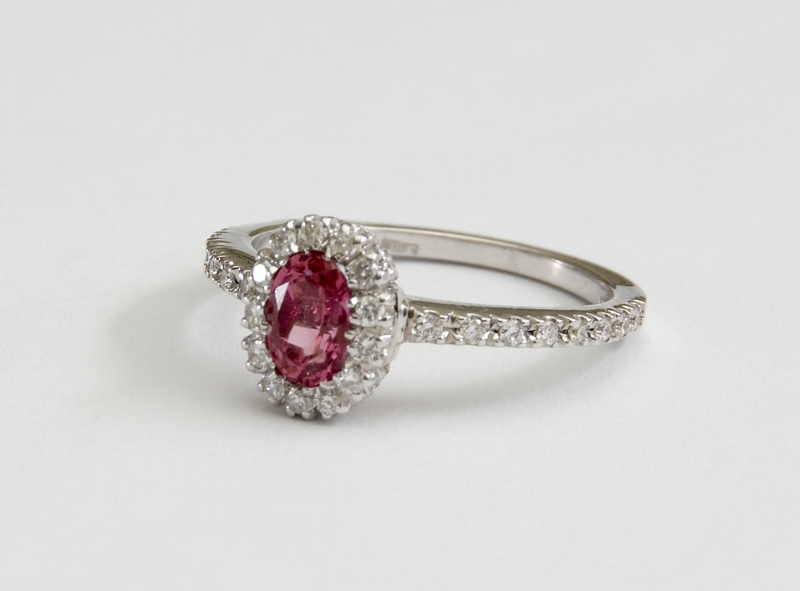 Ruby is the red version of corundum and an emblem of passionate love. The most sought-after rubies are from Burma. They are a deep, rich red with just a hint of blue. Emerald is a form of beryl and so is a bit softer than either ruby, sapphire or diamond. A deeply green, flawless emerald can be worth more than a comparable diamond. It is a gem not just of love but also of beauty and good luck. Diamond is the desideratum for engagement rings. Its beauty and radiance when it is properly cut and set in the ring is unmatched. Diamonds are chosen for their clarity, cut, color and carat size. Though colored or fancy diamonds can be more expensive, the most sought-after diamonds are colorless and flawless. However, most diamonds have a tiny bit of color and a flaw or inclusion. The ones bought for white gold engagement rings should be eye clean. This means that they are colorless and flawless to the naked eye. Technology has increased the variety of cuts that a gemstone can have. Among them are the familiar brilliant cut, the princess and marquise cut, the cushion cut and the emerald cut. The setting of the stone is also important. The stone can be a solitaire in a prong setting, which raises it above the ring. A very popular setting is to have one larger central stone dominating the ring flanked by smaller side stones. The side stones do not have to be the same type of gem as the central jewel. For example, rubies and sapphires flanked by smaller diamonds is a particularly popular style. 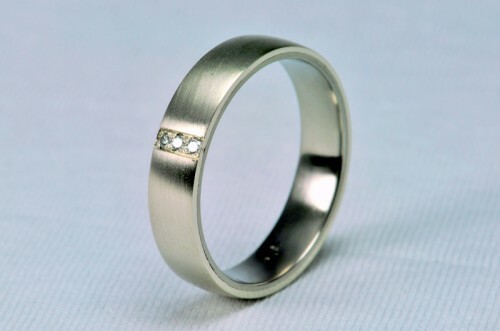 White gold is a perfect precious metal to bring out the best of these settings.